We are specialist lawyers in motoring, criminal regulatory, transport and licensing cases. Covering Cheltenham Spa and surrounding areas. If you have received a Notice of Intended Prosecution (NIP) or Court Summons to appear before Cheltenham Magistrates’ Court for a Driving Offence, call our Specialist Motoring Lawyers on 0345 222 9955 for 10 minutes Free Legal Advice about your pending motoring offence prosecution. Alternatively, you can complete our enquiry form at the bottom of this page and one of our solicitors will call you back to explain how we can assist. As a Specialist National Law Firm with a focus on driving offences, and with offices in Birmingham, London and Milton Keynes, we are frequently instructed by motorists living and working across the UK and especially in Cheltenham, The Cotswolds and Tewkesbury. Our Solicitors and Barristers are available to represent you or your business for the full range of motoring prosecutions before Cheltenham Magistrates Court, from Causing Death by Careless Driving through to Failing to Provide Driver Details, Driving Without Insurance, Speeding, Using a Mobile Phone Whilst Driving and advancing Exceptional Hardship Applications. Driving offences can attract sentences of varying severity, ranging from penalty points endorsed upon your driving licence, through to a Driving Ban, and even a prison sentence. If you are facing potential prosecution for a motoring offence, it is vital that you take specialist legal advice as soon as possible. Our solicitors and barristers provide free telephone advice to motorists that have received a “Notice of Intended Prosecution” (NIP) or a Court Summons to appear before Cheltenham Magistrates Court for a motoring prosecution. Our solicitors can also be instructed to attend the Police Station with you for a Voluntary Police Interview. Our closest office to Cheltenham Spa is our Birmingham Head Office. It is conveniently located in the heart of Birmingham close to transport links and car parks. If an appointment has been arranged for you to meet with one of our lawyers, the quickest and most convenient way to attend our office is via railway. From Cheltenham Spa Railway Station, a direct train is only a 45 minutes journey to Birmingham New Street, with the trains running as frequently as every 20 minutes. Our office at 1 Victoria Square is only 5 minutes walk from Birmingham New Street station. If you prefer to travel by car it is also quite easy to reach our office. The trip from Cheltenham to our office is approximately 50 miles via the M5, which equates to just over an hour in the car. Once you arrive in Birmingham there are plenty of car parks within walking distances of 1 Victoria Square. 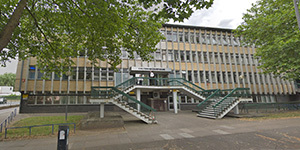 The closest magistrates’ court that deals with Criminal Law and Driving Crimes committed in and around the Cheltenham area is the Cheltenham Courthouse. The journey from Cheltenham Spa Railway Station to Cheltenham Spa’s Magistrates’ Court is reasonably quick and straightforward. If you wish to jump in a taxi at the railway station it will take approximately 2-3 minutes for the taxi to arrive at the Cheltenham Courthouse. Should you instead prefer to walk from the railway station to court then this will take you around 15-20 minutes over a distance of 0.9 miles. You simply come outof the station and turn right up the Gloucester Road (B4633). You follow the Gloucester Road until you get to the crosssection with St. George’s Road. At St George’s Road you take a right turn and follow the road for approximately 10 minutes until you reach Cheltenham Courthouse. There are no free parking facilities at Cheltenham Courthouse. If you wish you park nearby there are paid parking spaces within 200 meters of the court at the St Georges Road Car Park. Refreshments may be needed if you are attending court as sometimes a trip to court can be a day at court. Cheltenham Courthouse itself has no onsite food and drink facilities within it’s premises, however the Courthouse is within short walking distance of lots of shops, cafes and resturants. If you are unfamiliar with the location of the Court, you should research this a few days before your Court date. We recommend that you research the location of the Court, how to get to Court, identify suitable car parking locations and planning your rail journey, if attending by rail. We also recommend that you park in a long-stay car park as you could be at Court for longer than anticipated. 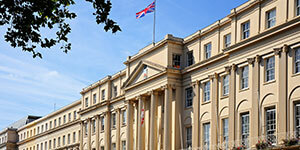 Kang & Co Solicitors is not just exclusively a motoring offence law firm, we are also specialists in other areas of law. We offer our services in all matters of Licensing Law, Regulatory Law, Private Criminal Defense, and Road Transport Law. We are also available to represent clients at PACE Interviews Under Caution.